Highly recommended. Always a top tier Porsche dealer. Very professional and friendly service. Car is always serviced as promised, and returned on time, cleaned and washed. Service at Porsche Lehigh Valley is great. They make the process quick and easy. The text updates were convenient. The staff was extremely friendly as well. Was kept informed of the work being done, very responsive to phone calls and questions. Everything was explained clearly . Everyone was respectful of me and my time. Very good experience. Knowledgeable and efficient staff. Comfortable service area to wait for your vehicle. Long time customer of Knopf service so this was my first experience with service under new ownership group. I live by the idea that you only get one time to make a first impression. Porsche Lehigh Valley made a great first impression! Courteous, knowledgeable, and professional staff. Chad was a pleasure to meet and Dale did his usual quality work on my car. 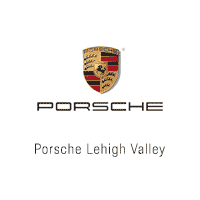 Looking forward to continuing my car service at Porsche Lehigh Valley. All good . Easy in every way. Some new great people.